Research places like the one I'm associated with are characterized by a constant turnover of personnel. Currently, our 20 senior scientists are supported by about 50 assistant and associate researchers on temporary positions. Our annual turnover rate is thus as high as 30 to 40%, meaning that I meet about 15 to 20 new people every year. The level of understanding in physics and material science fluctuates, but does not seem to deteriorate over the years. That's the good news. What does decline significantly is the ability to read and write and to use a computer efficiently. At the same time, the fraction of people with an undue sense of entitlement is growing dramatically. What do I call an “undue sense of entitlement”? Well, imagine. It's your first day at a new place where you hope to perform top-notch research yielding results important enough to publish them in prestigious journals. You are shown into your office, which you share with some more experienced colleagues, and on your desk sits a brand-new 24 inch Full-HD display connected to an equally brand-new desktop computer. And exactly that's the moment when you demand, loud and clear, two monitors. The bigger the better! And an hour later, you call our IT service to demand the real Office. And Photoshop! When the IT freaks ask for which purpose you need this software, you most strongly express your righteous indignation. First of all, that's none of his business, and second, that should be obvious! After all, you have letters to write. And later, there may be images whose contrast needs to be increased. Now, that's exactly what you would do, right? No, of course not. No halfway sensible person would behave in this way. Alas, every year we get more and more young people with this attitude. Experience tells us that the people demanding the most are the ones returning the least. They also tend to create constant trouble: they are more concerned with their own self-importance than with their research, and are generally ignorant, obnoxious, and unproductive. I still vividly remember my own time as a PhD student at the MPI-FKF. I had previously written my diploma thesis on an HP Vectra, an IBM AT compatible, which I had to share with the six or seven members of our research group. 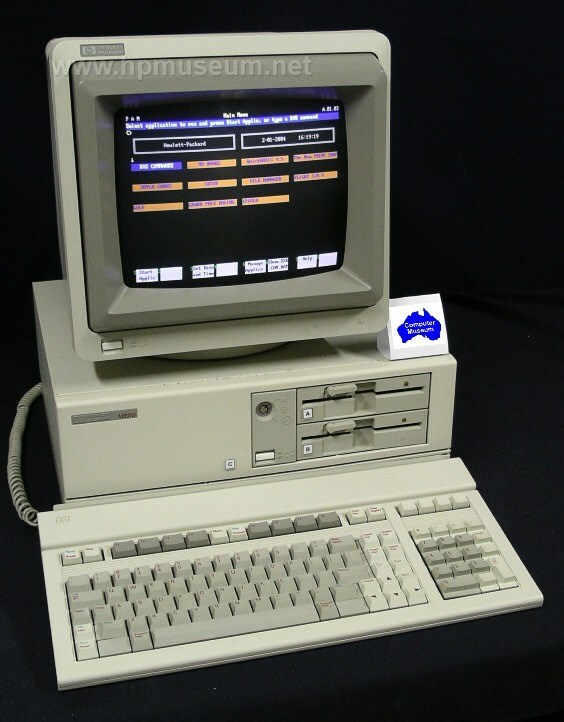 At the weekends, I also had access to my own computer, an Schneider PC1512 that I primarily used for running Pascal programs. God, did it feel slow compared to the Vectra at work! At the MPI, however, computing was not yet “personal”. Instead, VT220 text terminals were offered for the interaction with the VAX station in the basement. I'd say we had perhaps 20 terminals for about 300 scientists. 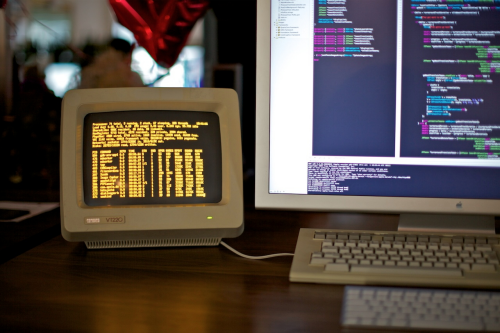 Basically, these terminals were used for three essential tasks. First, one could receive and send e-mails using the 'mail' program. That was my first contact with the Internet and I found it exciting! Second, we wrote our manuscripts using EVE, the extensible versatile editor, compiled them with LaTeX, converted the resulting dvi file to postscript with dvips, and used lpr to send the postscript output to one of the three or four Hewlett-Packard LaserJets located at strategic locations (mine was close to the beer machine¹) in the institute. The VT220 could not display any graphics, so we had to print to see if our LaTeX code did what we wanted! Third, EVE was also used to write FORTRAN code, and there were always a number of computations running on our VAX. I do not remember which model we had, but a VAX 6360 from 1988 had six processors clocked at 16.7 MHz and an estimated performance of 22 MIPS, all for a meager $752K. A high-end smartphone is easily 1000 times as fast. Just that you have an idea of how it feels to work on a VT220, here's an impression recorded by jstn. The little cube on the left is the VT220 displaying a terminal of the Mac Pro it is connected to. Between January 1990 and September 1991, I wrote 10 manuscripts on this little cube as the first author (all of which got published) followed by my dissertation which I've submitted just before Christmas 91. How I did that? Instead of complaining, I typed. ¹ Yes, you heard right: we had a beer machine. All right, it was actually a standard soda machine, but it offered two kinds of beer in addition to Coke and Co.: Stuttgarter Hofbräu Pils and Export, if I remember correctly. The machine was heavily frequented and we had the most illuminating discussions in the park just outside the canteen, where the beer machine—and the printer—were located. Many great ideas originated from these discussions. Nowadays, where people wear a helmet when going to the loo, that's unimaginable.